Multiple fracture lines crossing the skull base, extending into sphenoid and frontal sinus, which is filled with coagula (hemosinus frontalis). 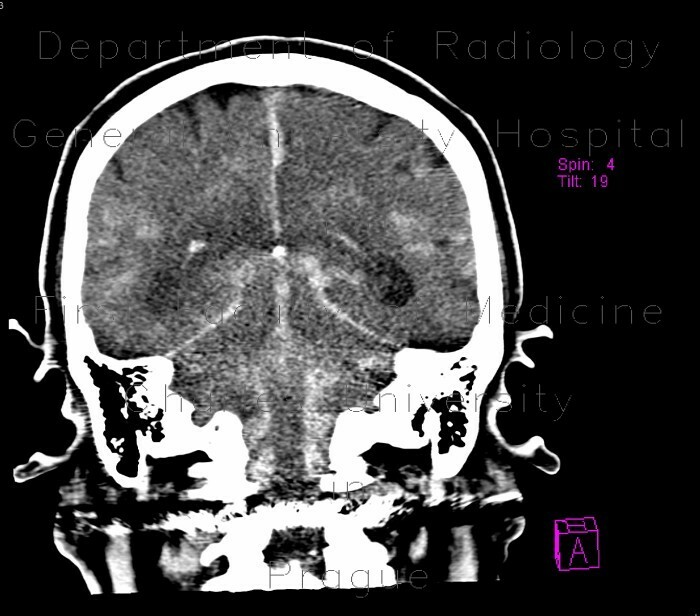 Gas bubble in subarachnoid space at left frontal pole. Contusion changes with focuses of intraparenchymal hemorrhage and perifocal edema on the base of frontal lobes. Extensive subarachoid hemorrhage - blood in basal cisterns, lateral fissure, frontal and temporal gyri.